Captain Richard Phillips is a Hero of the High Seas & Real Life Inspiration for the Movie Captain Phillips. 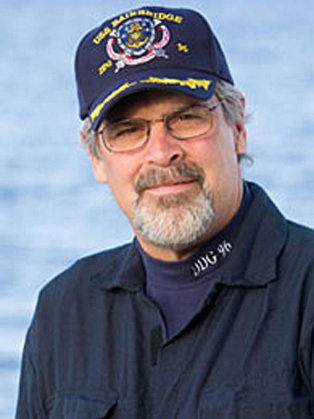 Captain Richard Phillips was the Captain of the Maersk Alabama, Hijacked by Somali Pirates. While we all aspire to live bravely in the face of life's significant challenges, few of us are tested to live bravely before the guns of hostile Somali pirates who threaten our leadership and authority, our lives, and the lives of our colleagues. Before Somali pirates hijacked his cargo ship and held him captive for five days, making him the center of a riveting international drama which played out live on television, Captain Richard Phillips was as normal as each of us doing our best at work and home. Audiences connect with Captain Phillips on a personal level, become friends with him by the evening's end, and leave lifted by his inspirational message.